She opened up the Idols show last night with the theme “music from the movies’ with a bang as she sang Golden Eye by Tina Turner from the 1995 James Bond movie of the same title. 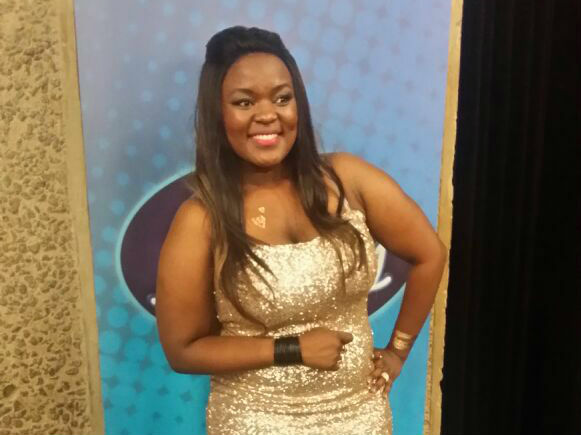 Idols judges Unathi Msengana, Gareth Cliff and Randall Abrahams all agreed that Bongiwe did a stellar job. We caught up with her right after the performance. Great but my shoes are killing me. They look great and do wonders to the outfit but eish, they are not so comfortable. Oh, that’s not good, but you look smashing anyway. So, song choice... Tina Turner is a huge star; did you get nervous about getting it right? Well Tina Turner is indeed a mega star. She has presence, strength and she is very commanding that’s why I chose that song. I wanted that presence to be there. And I think I did my best. You definitely did, you literally set the bar from the beginning of the show and the judges loved it. I am always grateful for the judges’ feedback it has helped me grow over the weeks in the competition. Besides Tina Turner, what other performance moved you so much that you thought, ‘I could have chosen that song and enjoyed singing it’? Definitely Purple Rain performed by Vincent Bones it’s such a great song and he rocked it! The other songs I wouldn’t have executed them so well and they aren’t my strong genres. Any word to your fans and South Africans? Thank you so much for voting for me and making this dream of mine come true so far. Please keep voting.